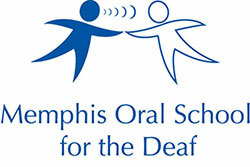 ✨HAPPY MOTHER'S DAY!✨ Memphis Oral School for the Deaf hosted "Muffins with Moms" on May 11th! It was a special time to celebrate all the hard-working mothers and special women surrounding each student at MOSD! We love our Mommies!